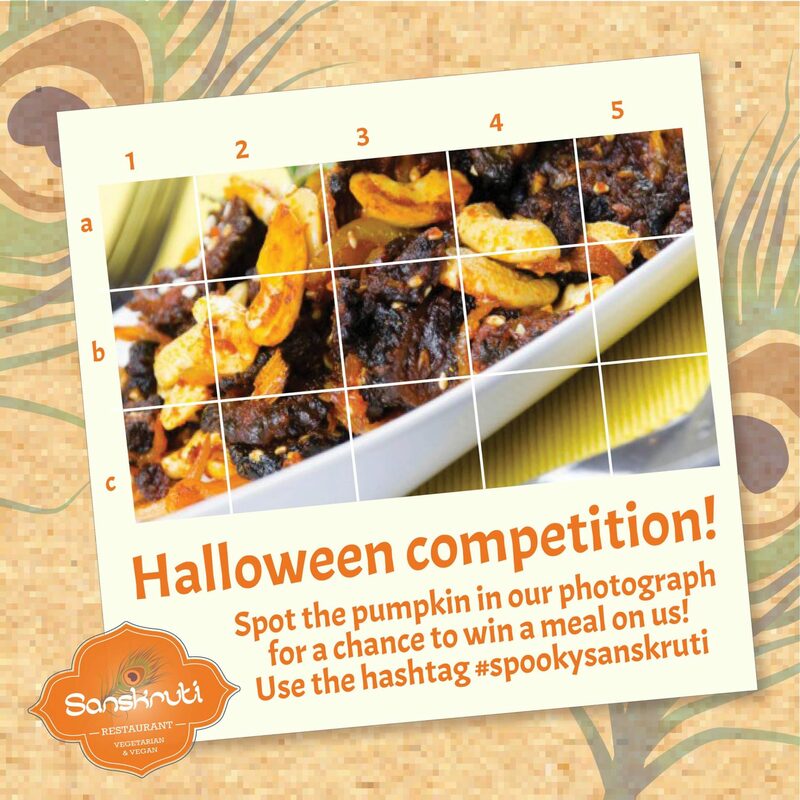 To celebrate Halloween we are offering you the chance to win a free meal at Sanskruti! Free meal for one person at our restaurant in Manchester. Competition closes midnight Monday 31st October 2016 and announced Tuesday 1st November 2016. This competition is open to all UK residents, except employees or family members of employees of Sanskruti. The prize is a main course meal but excludes the “Special Sanskruti Thali”. Drinks are not included in the prize. Meal must be booked in advance and subject to availability. The prize can only be claimed at Sanskruti Manchester and will not be valid at any other branch. All entries must be received by midnight Monday 31st October 2016 at the latest. Entries must be received through the Sanskruti Manchester social media channels. The prize winners will be notified via their social media account and must respond before the 8th November 2016. In the event of non-acceptance, no answer or failure to accept within the specified period or for the dates available, Sanskruti reserves the right to reallocate the Prize awarded to another entry. By entering the competition the winners consent to take part in any publicity accompanying or resulting from this competition. Sanskruti reserves the right to cancel or modify this competition at any time at its sole discretion. Sanskruti reserves the right to change the Prize and these terms and conditions at its sole discretion.